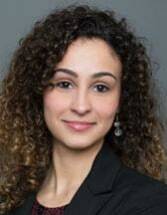 Samantha Ribeiro, recently joined our firm as one of our associates. She is a graduate of Hofstra University School of Law and is admitted to practice in the State of New York. As the newest member of the Jaroslawicz & Jaros community, she is excited to be working directly with Abraham Jaros, and is learning how to represent clients in difficult cases and honing her expertise in successful litigation. Prior to attending Law School, Samantha studied Political Science and Human Rights at the University of Connecticut. There, she worked with the university Women's Center, advocating for women's equality within the campus and surrounding communities.